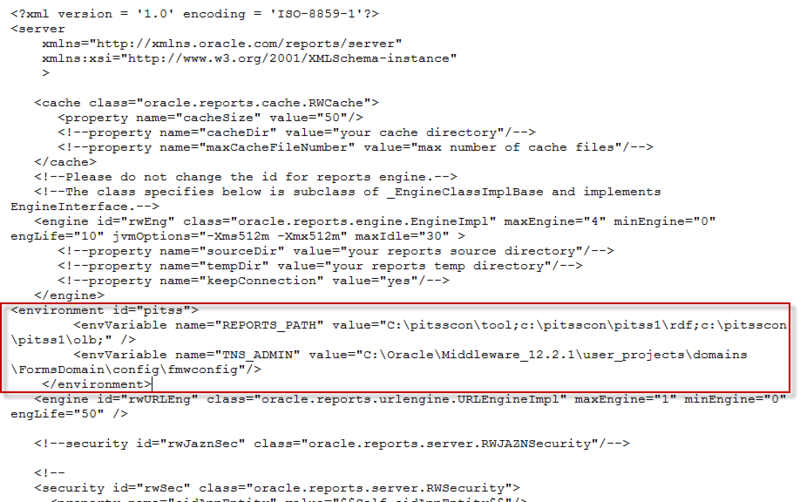 There is a known issue where running tree reports from PITSS.CON 15.4.2 installed in a Forms 12c environment where the error “Error when running report” appears when attempting to create a PDF tree report. This happens to not be a bug with the latest PITSS.CON release. To get tree reports to generate in PITSS.CON, a new configuration is required in Forms and Reports 12c to run PITSS.CON tree reports in 12c. First, make sure that all environment files (.env) have the new COMPONENT_CONFIG_PATH environment variable set up. NOTE: This assumes that PITSS.CON is installed in C:\pitsscon as it uses paths such as C:\pitsscon\tool and C:\pitsscon\%PITSS_USER%\rdf. Also, %PITSS_USER% should be your PITSS.CON user. If you have more than one PITSS.CON user, please specify the RDF and OLB paths for all PITSS.CON users here. For the TNS_ADMIN variable, the fully-written path for %DOMAIN_HOME%\config\fmwconfig should be filled inside the value attribute. After the update is made, save and close the file. 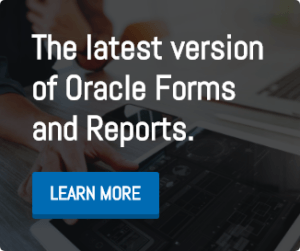 Once the file is updated, you will need to restart your reports server (the standalone reports server if you configured the standalone reports server or WLS_REPORTS if you configured the in-process reports server). After restarting your reports server, you should be able to run a tree report in PITSS.CON.